Whether carefully choosing gifts for your generous hosts or buying souvenirs for your loved ones back home, you’ll need to pack presents in your suitcase for travel. Traveling with gifts may seem tricky, but with these five tips, you’ll become a gift-packing pro. Your presents stay secure in your carry-on. Why? Because what you keep with you during the flight is guaranteed to arrive at your destination. Although airlines lose a tiny percentage of checked bags, don’t take the risk with special cargo. If the airline happens to misplace your checked baggage, your gifts may wind up in an unlikely tourist attraction in Alabama. Remove the risk entirely by packing presents in the safest place: your carry-on. You’ll want to pack your gifts snuggly to prevent them from rattling around during transit. Take special care with delicate gifts. Securely wrap each one separately. To save on space, you can even cushion fragile items with your clothes. Carefully lay gifts on top of your bag. This way they won’t squish under heavier items. To ensure your presents make the trip with you, take careful consideration of airline regulations. For example, snow globes are common souvenirs. These, like other liquids, need to follow the 3-1-1 liquids rule. If you’re traveling with gifts in your carry-on, make sure they follow TSA regulations. If you’re taking food through customs, know that border control restricts many agricultural products from certain countries to enter the United States. When packing gifts for travel, ask yourself: will this clear airport security? Pro tip: TSA reserves the right to unwrap any gifts they cannot identify. 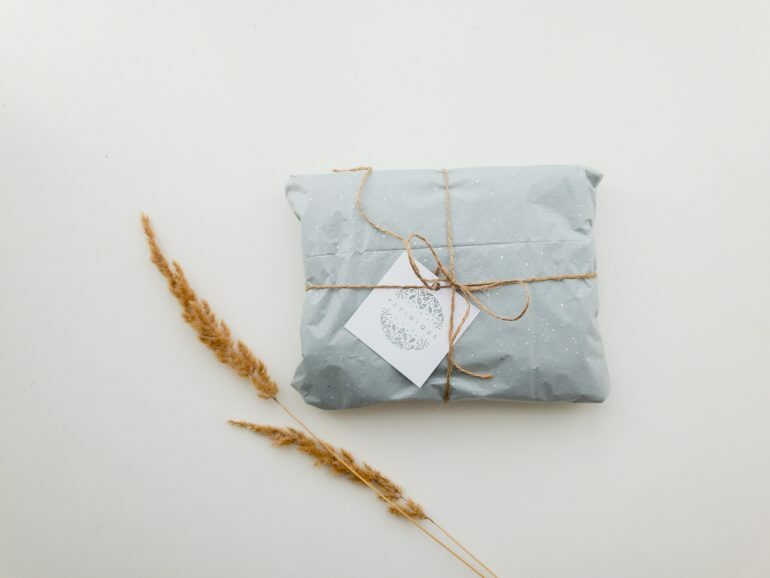 Save yourself time and paper by wrapping any gifts at your destination. Imagine strolling down the local pier and finding a most exquisite, one-of-a-kind painting from a native artisan. A friend comes to mind the instant you see it, but you wonder if its 9 X 11 frame can make the flight home. When you find the perfect gift during your travels, make sure to consider its size. Before you buy, ask yourself: can this fit in my luggage for the flight home? When packing, make sure to leave extra room in your suitcase. This way you won’t wonder how to bring home travel gifts you buy during your trip. If you’re traveling with presents for your hosts, you already have the designated space for souvenirs. Since you will leave these gifts with your hosts, you’ll already have the extra space to bring home souvenirs. Traveling with gifts can be simple and easy if you apply these five secrets on your next trip! Need more help with packing for your travels? Stick to the essentials with this packing list.